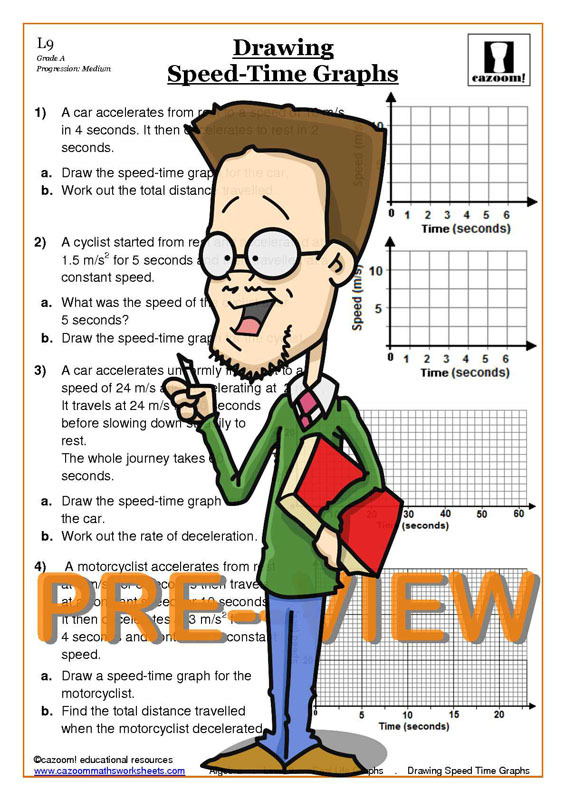 Our real life graphs worksheets in PDF are designed to equip students with the knowledge and skills they need to make a success of distance time graphs. We have worksheets suitable for all abilities, and our comprehensive real life graphs worksheets cover all bases of these practical problems. 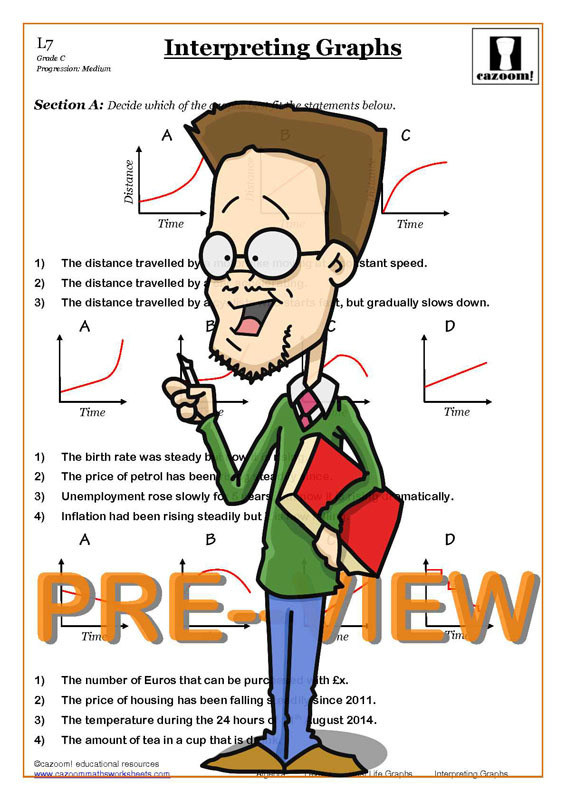 We have printable graphs available, as well as worksheets on distance time graphs and interpreting graphs. All of our real life graphs worksheets are supplied with answers, and break down these essential pieces of information in a clear, easy to understand format. 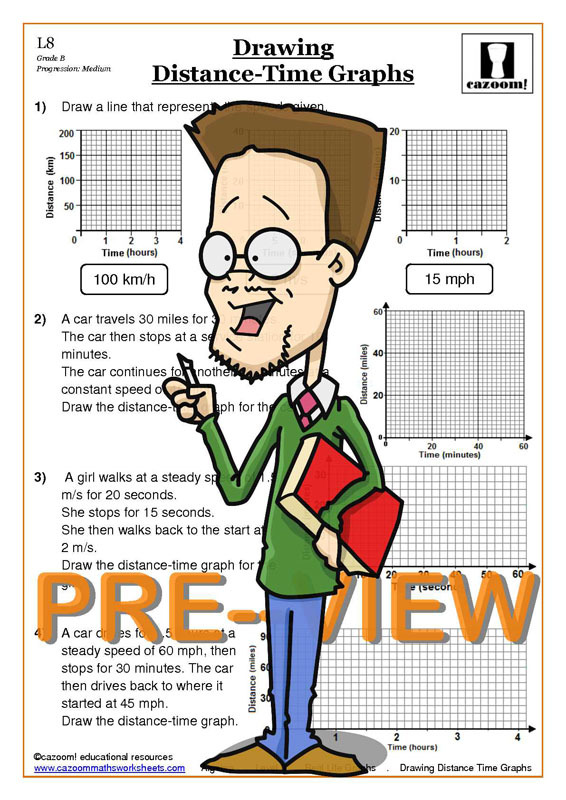 Our worksheets enable students to improve drawing and interpreting many types of real life graphs. 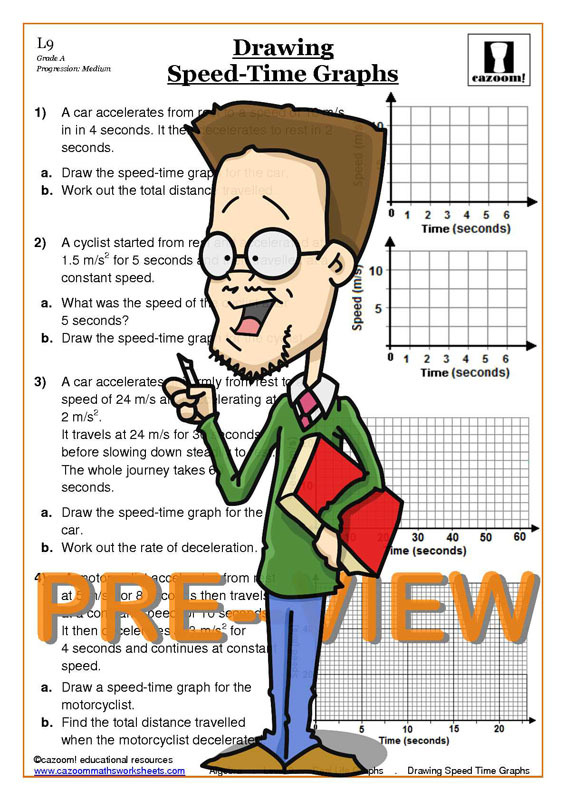 Distance time and speed time graphs have real world relevance, so students will use this information even beyond their time at school. At Cazoom Maths our real life graphs worksheets with answers present the information they need in a clear and engaging way, and help them become more confident about real life graphs. Graphs are used across many different industries as a way to represent data in an easy to understand format. A real life graph is one which represents a real world problem, such as measuring distance against time. Knowing how to use and interpret these types of graph is an invaluable skill which students will use time and time again throughout their life and future career. Graphs are a useful way of displaying large volumes of data, making analysing data and drawing conclusions much easier. 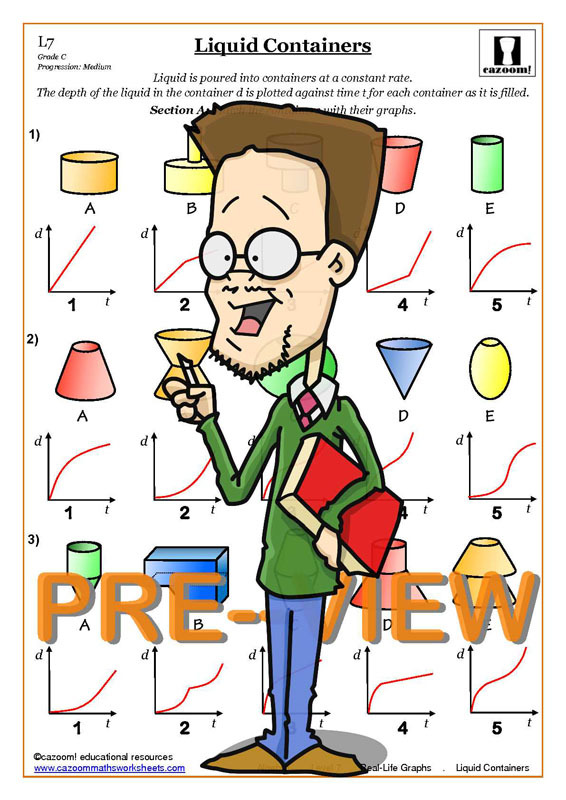 Although there are many computer applications which will create graphs automatically based on a data set, a competent human being is still needed to interpret the graph and explain the evidence, so the importance of learning about graphs in school should not be understated. Graphs are useful not just as a visual representation of a set of data, but for helping consolidate students’ knowledge of gradients and linear functions. A distance-time graph will always be represented by a straight line showing a rate of change, meaning students can then work out the equation of the line and its gradient. 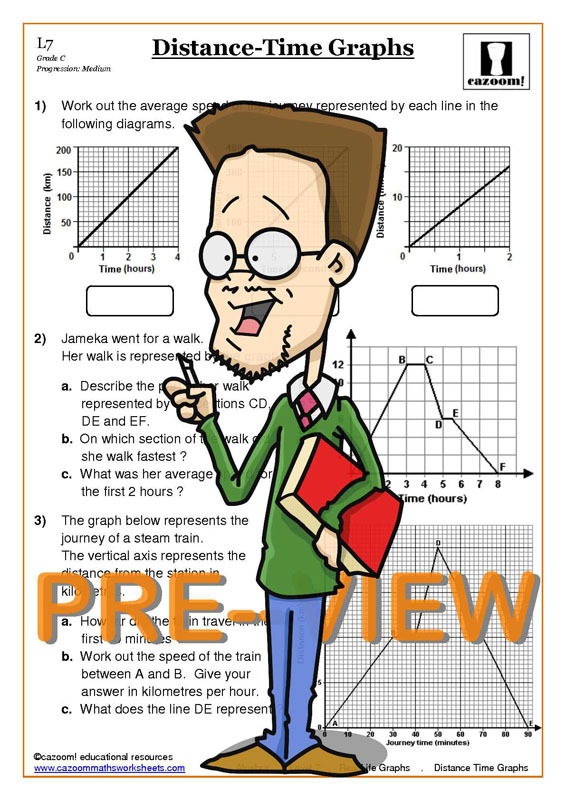 Clearly presented real life graphs worksheets help students master the skill of drawing and interpreting graphs. Maths worksheets contain enjoyable activities which allow students to practice their knowledge of graphs and have fun in the process.